The criminals were never proved guilty of their crime, but a great deal of suspicion attached to them after the remains had been recovered from the cave. People remembered the dispute at Eyam Wakes. The landlord of the Bull’s Head recalled how he had sent his man to protect the pedlar from molestation between Eyam and Stoney Middleton. And the landlord of the Moon Inn had a sinister secret which he dare not share with his patrons, lest he too should become a victim of the unscrupulous men who lived only five miles away at Tideswell. Although they evaded the law courts, the condemned cell, and the gallows, are each said to have suffered some form of retribution during their life-time. Among them was a woman whose face was terribly mutilated by a cancer. 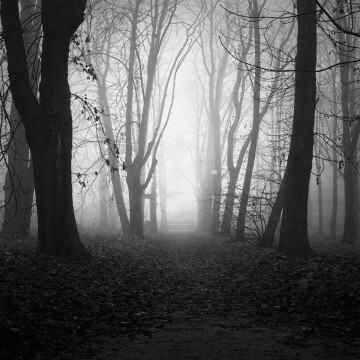 Sinister stories were told about Carlswark for many years after the discovery of the crime, and people who were obliged to pass that way in the dark seldom did so alone. For the cavern had the reputation of being haunted by the ghost of the Scottish pedlar, and it is on record that horses often shied when passing the entrance. Locals today tell their own versions of their experience of ghostly encounters, none more convincing than that of the residents of the Moon Inn who have provided many accounts of his presence. 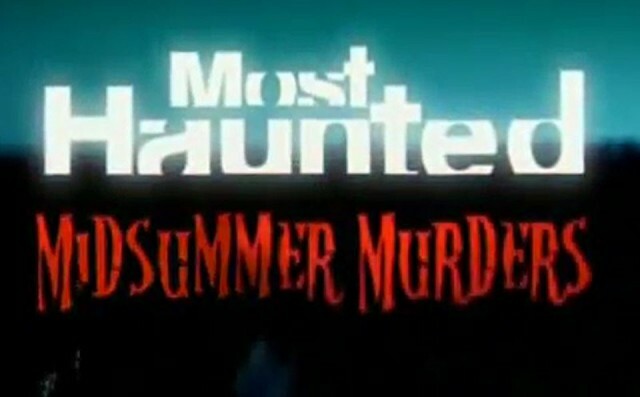 The ITV series Midsummer Murders Most Haunted undertake paranormal investigations in areas known to have experienced such Phenomena. The programme is hosted by Yvette Fielding. They visited Stoney Middleton in the summer of 2007 to investigate in various locations including the Moon Inn, Carlswark Cavern and Lovers Leap. They were not disappointed as is demonstrated in the footage below. The programme is provided in 5 parts with each part available below. In part 1 historian Lesley Smith outlines the history of the village and that of the murder at the Moon Inn. Medium David Wells and Para Psychologist Kieron OKeefe join presenter Yvette Fielding and their investigations begin at the churchyard in nearby Eyam where the Scottish pedlar’s remains lie. Part 2 sees Yvette Fielding with Medium David Wells and Para Psychologist Kieron OKeefe as they take a walk around the village. They visit Carlswark where David tells us how he believes the pedlar came to his end in the depths below. From here they go to the top of the cliffs above Lovers Leap where David is aware of the presence of Hannah Baddeley who leapt from the cliffs in her bid to end it all. David is also aware of a highwayman whom he said was connected to the village. They then visit the Lovers Leap restaurant at the foot of the cliffs for David to continue his commentary on Hannah Baddeley. In Part 3 the group go to the Moon Inn and David tells us the story of Mac as he has named the Scottish pedlar. He believes him to be a strong character aged 35 – 40 years old and confirms that he does indeed haunt the pub. They stay on into the darkness of night and undertake a séance, and here they believe they have the presence of both Mac and Jack, a name they use to describe the highwayman. The séance continues in the Moon Inn and contact appears to be made with one of the murderers of the Pedlar. Moving chairs and other strange occurrences keep the team on their toes while David continues to enlighten us with his interpretation of what he believes is a connection between the pedlar, the highwayman and the murderers. The final part sees part of the investigation move on to Carlswark where they believe the pedlar took his last breaths. The team hear various knockings and other connections which they are sure is from the pedlar. They conclude that the highwayman called Jack was responsible for the pedlars death and that he was killed in a drunken brawl over gambling debts.